The AT-AT is one of my favorite Star Wars vehicles, always has been. And as many times as it has been portrayed in bricks, it never gets old. 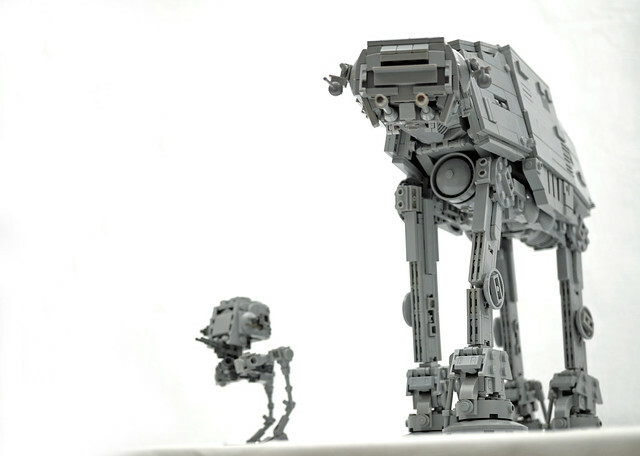 This midi-scale version (and it's AT-ST counterpart) by Rogue Bantha not only look amazing, but are photographed perfectly. The low angle makes it look huge and imposing, and the composition is very cinematic (albeit pan and scan).